According to a new report Global Self-Organizing Networks Market, the market is expected to attain a market size of $8.2 billion by 2022, growing at a CAGR of 11.3% during the forecast period. Self-Organizing Networks (SON) is a relative term for mobile network automation, which is critical for the deployment, operation and maintenance of mobile networks, cost efficiently. Over the years, automation will eventually grow as an inherent component in network operations. The success of SON though largely will depend on relative assessment of automations benefits and the cost involved. The prevailing market traction and developments in mobile networks have largely been driven due to the consistent demand for high-speed data by the users. 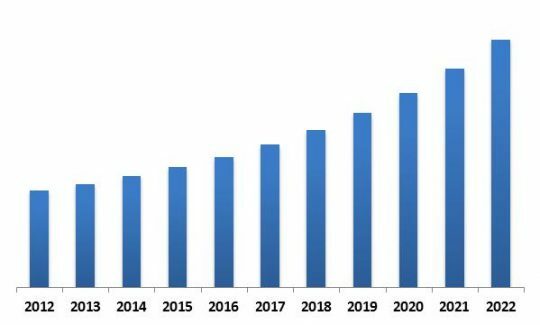 The demand for self-organizing networks over years has evolved, due to factors such as rapid development in mobile wireless network technology and ever increasing demand for superior and efficient network management. The ever growing use of smartphones has largely been a driver for the market; more are more users join the mobile networks, leading to network traffic, which invariably requires enhanced network management. The present market condition suggests that 2G/3G cellular networks are responsible for higher revenues for this market, as the number of subscribers and penetration is substantially high, when compared to 4G/LTE. SON has been responsible for reshaping the 4G/LTE network deployments, as SON has an inherent ability to unconventionally resolve network issues in real-time resulting in better end-user experience, at far lower investment as compared to the manual optimization network processes. The deployment of SON is anticipated to considerably cut network delays and operational expenses; hence 4G/LTE is anticipated to register faster growth in the near future. In 2015, 2G/3G segment dominated the Global Self Organizing Networks market by Cellular Networks type. The segment has generated revenue of USD 2,928.7 million in 2015, growing at a CAGR of 8.8% during the forecast period. SON can be deployed in three key architectures: centralized (C-SON), distribution (D-SON), and hybrid (H-SON). Among these architectures, centralized (C-SON) is the most popular architecture, as it comes with the ability to manage complex network functions in an effective manner. However, hybrid (H-SON) architecture on the other hand is expected to register a faster growth rate during the forecast period, as it offers combined benefits of C-SON and D-SON, including complex network management and real-time response. 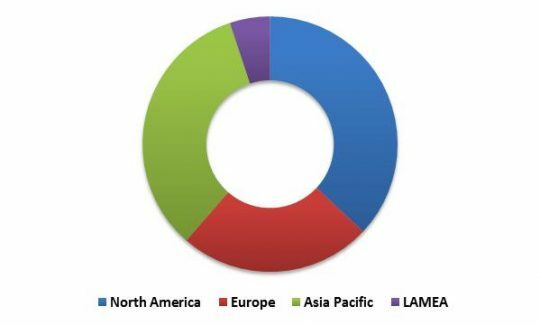 In 2015, Centralized SON segment dominated the Global Self Organizing Networks market by Architecture type, and is expected to reach USD 3,535.9 million by 2022. However, Hybrid type SON would witness highest CAGR of 14.5% during the forecast period. North America, as a region is the highest revenue-generating region and Asia-Pacific, due to fast growing countries within the region, is the most lucrative market for SON providers. The APAC regions exhibits a far reaching market penetration within the telecom industry as several telecom operators such as Airtel and Idea, are swiftly implementing SON solutions to improve network efficiency. The report has exhaustive quantitative insights providing a clear picture of the market potential in various segments across the globe with country wise analysis in each discussed region. The key influencing factors of the global Self-Organizing Networks market have been discussed in the report along with the elaborated company profiles namely Rohde & Schwarz GmbH, Siemens AG, ZTE Corporation, Cisco Systems, Inc., Huawei Technologies Co., Ltd, Amdocs Ltd, Cellwize wireless Technologies Pte ltd. and Qualcomm Incorporated.